Fundraiser by Bill Turner : Save Hermann's - Help us get the lease. Save Hermann's - Help us get the lease. March 5th 2019. We have made a major breakthrough in our efforts to keep Hermann's Jazz Club alive as a community resource, forever. Our media release: JAZZ ON VIEW SOCIETY SIGNS 5-YEAR OFFER TO LEASE & OPERATE HERMANN’S is available on the Jazz on View website. We have the opportunity to enter into a 5 year (renewable) lease on the ground floor of the Hermann's building. To do so we have to raise an additional $75,000 by the 15th of April 2019. These funds are required to make the lease deposits and to provide funds for improvements and set up costs. That is a very short time, but because or your generosity we raised over $25,000 though this campaign in 2017 in our attempt to buy the building. So we are asking our GoFundMe supporters to help by helping get us to 75,000.00 to our goal. We know that with your help once again we can. IF WE DON'T GET TO THE LEASE: We have agreed that if we are not successful in leasing the club we will refund the funds donated. To be clear, we might still lease the club if we raised say $72,000.00 (borrowing the remaining $3,000) and in that case we obviously would not be refunding the money. But if we don't go ahead with the lease the money goes back to the donors. We need your help now to raise the critical cash funds that will allow us to make initial payments and facilitate the leasing of this facility for the community. There was a big amount donated at the fundraiser on April 10th. The result was that yesterday (April 11th) we removed the subject condition and are now working with the estate about details of the lease and transition to Jazz on View Society taking over operation of Hermann's. The funds which continue to be donated will help us move even faster on some of the needed maintenance and on moving ahead with our over all vision as inspired by Hermann. 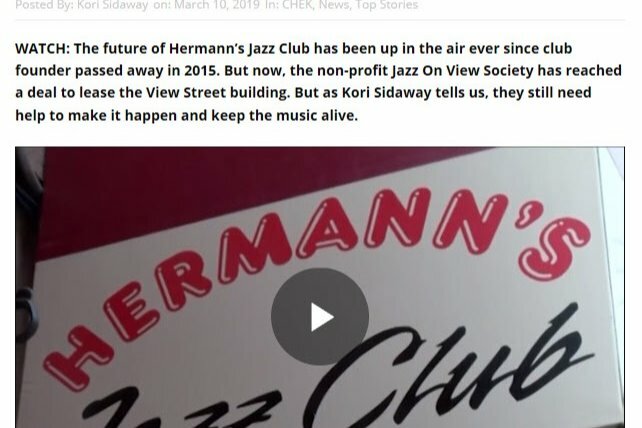 A quick update on our mission to save Hermann’s Jazz Club. The good news is that, thanks to an outpouring of support from people like you, Jazz on View has made significant progress. We’re more than halfway there in our fund-raising efforts. And we thank you for your generosity. However, time is short. The April 15 deadline to raise $75,000 required for a five-year lease is fast approaching. We need your help, both in the form of donations and spreading the word. In the first two weeks of the fund-raising campaign Jazz on View $43,000 through out GoFundMe campaign and other donations. However, we still need another $32,000 to reach our goal. If you have already donated to the campaign, Jazz on View thanks you from the bottom of our hearts. You can still help be spreading the word. Encourage your friends to donate – even if they live out of town. And if you have yet to donate yourself, please consider doing so. Jazz on View has started a new patrons’ program. Significant contributors (both private citizens and businesses) will enjoy insider perks, such as free admission to shows, public recognition and an invitation to an exclusive patrons’ party. 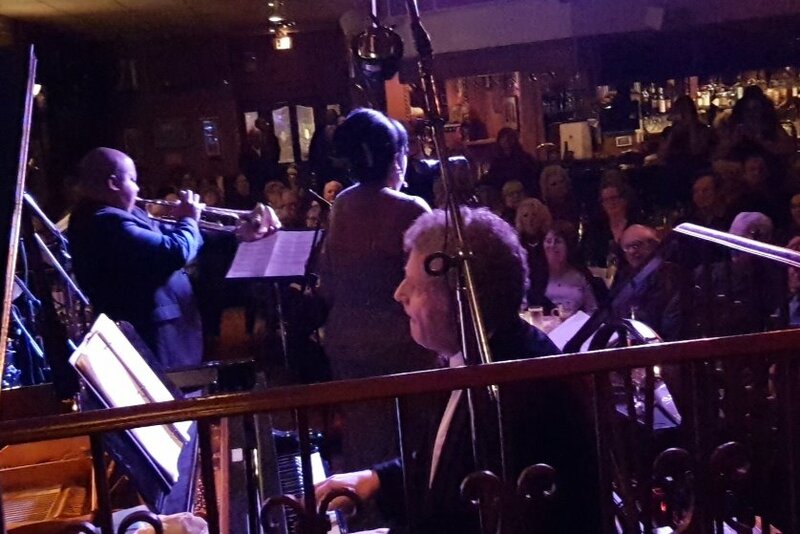 Hermann’s Jazz Club -- the longest continuously running jazz club in Canada -- is a unique institution in Victoria. In a city renowned for its thriving cultural scene, Hermann’s is a key component, not only hosting superb jazz and other musical genres, but providing valuable performance opportunities for young musicians. And if we can save Hermann’s, Jazz on View’s ultimate goal is to eventually purchase the building and create a new arts centre for Victoria. If Victoria rallies as a community – Hermann’s Jazz Club can continue in perpetuity. We can do it. Let’s make it happen. CHEK TV produced a great news story about the campaign. Take a moment and watch this coverage. Thank you for your support! The community is coming together to make this happen. Huge thank you to all of you who have contributed so far!